The trust was by far the best performing IT in my portfolio over the past 3 years with returns of over 30% p.a. Share price return last year alone was 62%. Share price total return for the past year is a more modest 0.1% compared to its benchmark index - Numis Smaller Companies index - Total Return down -1.9%. The board are proposing a final dividend of 17p making a full year increase of 5.3% to 24.75p per share. Revenue reserves have increased by a further 6% to £53m. At the current price of around £10.25, the trust has a yield of 2.4% - obviously this has fallen in percentage terms over the past three years as the share price has risen so strongly. Although currently not one of the highest yielders in my SIPP, I am happy to continue with Aberforth for the long term for delivery of growth and steadily rising income which has more than doubled over the past 10 years. Capita Registrars have recently issued their report for the final quarter of 2014. The report compares dividends paid by UK companies and also looks at predictions for the coming year. Headline dividends rose to an all time high of £97.4bn over the 12m period - an increase of 21% on the previous year. This figure includes a one-off special dividend of £15.9bn in February from Vodafone. Leaving aside special dividends, the underlying increase was a modest 1.4% uplift to £79.1bn. A big factor holding back dividends has been the strength of sterling which knocked around £3.5bn off returns in the first 9 months of 2014. However, in the final Q4, underlying dividends grew 4% partly due to a falling GBP. Just under 90% of dividends derive from FTSE 100 companies, in fact 45% come from just 5 dividend stalwarts - Shell, Vodafone, HSBC, BP and GlaxoSmithKline. Although there was a blip in 2009, total payment have gradually risen each year from £63.7bn in 2007 to £97.4bn last year - this represents compound growth of 6.25% per year. For those seeking to maximise income and who are prepared to ride out extra volatility, it appears that equities are still the place to be with steady yields of 3.9% from the FTSE whilst 10 year gilts have seen a collapse and are now yielding just 1.6% - down from around 3% just one year back. Taking into account the cancellation of the final dividend by Tesco and also the recent strength of the US dollar which is currently 8% stronger than the average exchange for the GBP over the past year - 40% of dividends derive from companies who report in US dollars - Capita are forecasting dividend growth of around 5.7% for the coming 12 months to £83.6bn. I will be very happy if my dividend income rises 6% over the coming year and inflation remains at 1%! IMT has been in my shares portfolio for just over two year. 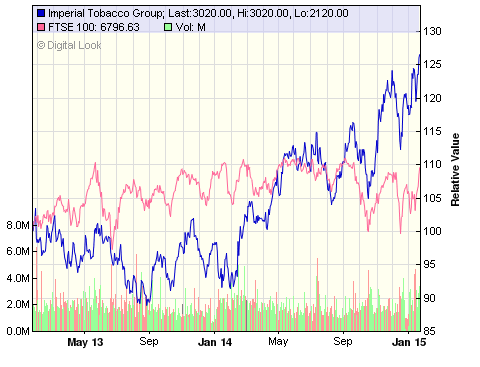 Over the past year or so, it has risen some 30% - well ahead of the FTSE 100 index. "Given the decent share price appreciation over the past year combined with top ups to several of my investment trusts which have significant holdings of IMT, I am reaching a point where I will become too overweight with this share. I will therefore monitor and may sell if the price continues to rise over coming months". IMT is a significant weighting in many of my income investment trusts - City of London, Temple Bar and Edinburgh, all of which have been added to in 2014, and Invesco Income which was a new addition in my ISA last Summer. Of course, these trusts also hold Br. American Tobacco with even larger weightings so the combined effect takes me to a level of income from such holdings that is above my personal comfort zone. Other aspects which may or may not become problematic are falling revenues and increasing debt. The debt will further be increased to fund the acquisition of the brands from Reynolds later this year. Mr. Market was kind enough to make an offer today of £30.75 which I was happy to accept. I will also receive a further 89.3p final dividend next month. This will make a total return of just under 40% since purchase. The sale proceeds have been recycled into a further holding in New City High Yield trust with a yield of 6.6%. 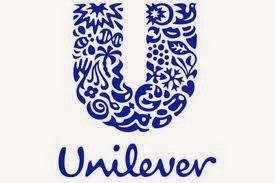 The company states that more than 2 billion consumers worldwide use a Unilever product every day. My previous post on Unilever was at the same point last year. Today they have announced results for the full year to 31st December 2014 (link via Investegate). The Company reported a 2.9% rise in underlying sales and an 11% increase in core earnings per share. Overall, the figures are slightly weaker than analysts were forecasting and the share price is currently down a little compared to the wider market at £27.15. The share price has risen around 10% over the past year. Unilever said underlying growth in emerging markets, where it makes more than half its sales, slowed to 4.3% and profit margins were flat, due to currency issues and softer conditions in China and Africa. Developed markets were also fairly flat with a modest pick-up in the Americas offsetting a turndown in the Eurozone. CEO, Paul Polman said "Despite a challenging year for our industry with significant economic headwinds and weak markets we have delivered another year of competitive underlying sales growth and margin expansion. This consistency, now established over the last six years, has been achieved during a period of high volatility as we have built a more resilient company. We have increasingly focussed on our core business and have sharpened the strategy across each of our four categories. In today's low growth environment we are driving efficiency and simplification initiatives to make the organisation more agile and more capable of responding to the unexpected. We have continued to remove cost and to streamline processes to provide fuel for growth. Our innovation programmes have further accelerated and we have exported our iconic brands into new markets. We have continued to use acquisitions and disposals to strengthen the portfolio". A 4th quarterly dividend of 28.5 euros - 21.8p will be paid in March. This will make a total of 114 euros for the full year - an increase of 5.9% but after FX conversions, just 90.2p for the full year (91.05p 2013). Current yield for the UK holder is around 3.4%. Unilever is one of those companies with strong brands and a wide economic moat which helps it to maintain an edge over competitors and provide good long-term returns for patient investors. 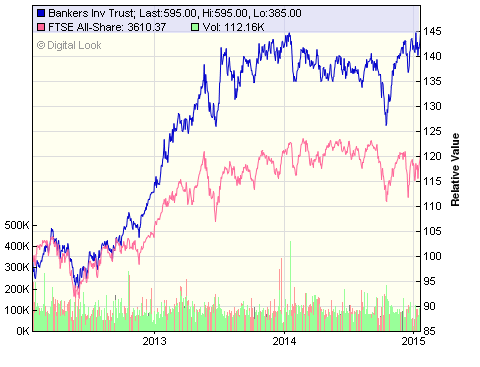 It is a top holding for Nick Train’s Finsbury Growth & Income Trust comprising around 9.0% of the portfolio. Although returns have been affected by currency fluctuations, these things have a way of balancing out over the longer term. Unilever is a top three holding and one of the stalwarts of my shares portfolio and is likely to remain so for many years. 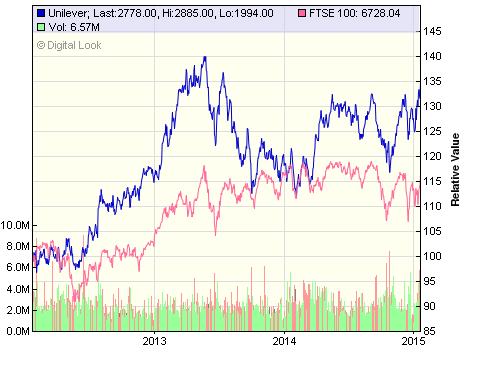 Feel free to leave a comment if you own Unilever in your portfolio or if you are thinking of buying this share. Founded in 1974 as the worlds first spread betting firm, IG has grown rapidly and is now a global leader in online trading, providing fast and flexible access to over 10,000 financial markets – including shares, indices, forex, commodities and binaries. It is a member of the FTSE 250 with a market capitalisation of around £2.8bn. The company had a spell in private ownership but was readmitted to the market in 2005 at the price of 120p. Dividends growth has been very impressive over the past decade moving from 5.50p to 28.15p - a CAGR of over 17% p.a. I have said on many occasions that one of the aspects I look for when considering an addition to my portfolio is some degree of competitive advantage or ‘moat’. Having previously held IG Group in my ISA income portfolio, I am aware of its edge as market leading brand with a global reach combined with constant commitment to innovation via new technology. IGG was repurchased in my ISA last August following decent full year results, a 21% increase in the dividend and an increase in the payout ratio from 60% to 70%. Since then, the share price accelerated over 20% to an all time high of £7.60 in recent weeks. The Company has today released its half year results to 30th November 2014 (link via Investegate). Profits are up 2.8% at £101.4m and earnings are up 5.4% at 21.4p. IG has announced an increased interim dividend of 8.45p (5.75p 2014). The increase is partly due to lifting the payout ratio from 60% to 70% and partly due to raising the interim dividend from 25% to 30% as a proportion of the full year dividend. The level of the final dividend is uncertain due to the surprise actions of the Swiss National Bank last week which caused a wave of client currency losses that led to a £30m hit on the company. They say "If full year diluted earnings per share were to be lower than last year purely because of this highly unusual event, the Board’s current intention would be to maintain the full year ordinary dividend at last year's level". The share price was impacted around 5% last week following the Swiss Bank announcement however, the results appear to have been well received and at the time of posting, the sp is up around 2.5% @ 734p. If the final divi of 22.4p is maintained, this would give a figure of 30.85p for the full year which would put the shares on a fwd yield of 4.2%. The balance sheet remains strong with cash and equivalents increasing from £101m to £150m over the 6m period. 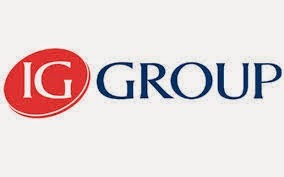 In September, IG launched its UK stockbroking operation. After three and a half months, they had around 1,700 clients who had opened and funded an account, with over 60% of the applications having come from new clients. Over the coming year they plan to roll-out this service in other countries. 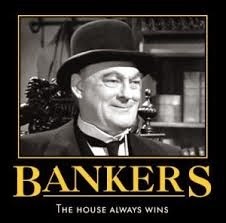 With the exception of the Swiss Bank losses, all appears positive and I am happy to hold for the foreseeable. The Bankers Investment Trust seeks to maximise returns for shareholders through a broadly diversified international portfolio. It holds around 200 companies spread far and wide. The heaviest weighting is UK with 38% followed by N America 25%, Pacific/Asia 12%, Europe 12% Japan 9% and Emerging Markets 4%. Over the past year Bankers has delivered a total return of 4.2% on NAV, compared with just 1.0% for its benchmark FTSE All Share Index. Although returns for the past year have been relatively flat, the shares have seen quite a rise over 5 yrs returning 85% including dividends. Bankers is proposing a final dividend of 3.8p per share, taking the full-year total to 14.8p - an increase of 4.7% on the previous year and the 48th year of consecutive increases. The trust has also forecast an increase in dividend per share of not less than 15.5p or 4.7% for the year ahead. Although at 2.6%, this is not the highest of yielder, I am very happy to continue holding this in my income portfolio of trusts, as it provides a good spread of quality diversified assets. Additions to the portfolio this past year include Walt Disney, Comcast, American Express and Oracle. I added this AIM-listed soft drinks company to my ISA portfolio in September 2013. Here’s a link to my post last year following the full year results. In a trading update today, Vimto maker, Nichols have reported that sales for the full year will be around £113.6m up 3.4% on 2013 and an increase of 4% during the second half of the year (link via Investegate). International revenues increased 4.3% (7.3% on a like-for-like exchange rate basis) with sales in the Middle East significantly ahead over the second half. The Company says: “In summary, 2014 has been another successful year for the Group. 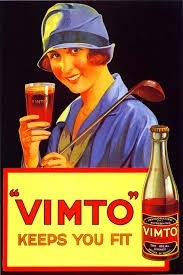 Our key Vimto brand has outperformed the UK soft drinks market and we have delivered good growth in our international business. We expect the full year profit and earnings per share to be ahead of the prior year and at least in line with management expectations“. The share price has seen a decline over the year, partly knocked by losing a litigation case in Pakistan involving one of its distributors. The update has been well received by Mr. Market - at the time of posting, the share price is up over 3% at 930p. 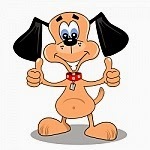 I have a dividend figure of 23p pencilled in for the full year. The Group's Preliminary results will be announced on 5th March 2015. Tesco has today issued its trading update for the all-important xmas period. The figures appear better than anticipated given the poor decline reported in October. New CEO, Dave Lewis has been in his post for just 3 months and the effects of changes already implemented are starting to come through. There has been some improvement in the UK business resulting in like-for-like sales performance of -2.9% in last 19 weeks versus -5.4% in Q2. This includes like-for-like sales performance of -0.3% for the six-week Christmas period. The previous guidance for full year profits is maintained at £1.4bn. One of the main focus of the turnaround is to strengthen the balance sheet. In this regard it is to close its headquarters in Cheshunt and also 43 unprofitable stores. Dave Lewis also said that he intends to close Tesco’s defined benefit pension scheme - one of the most generous in the country and also sell the analytics business behind Clubcard. After slashing the interim dividend, I had hoped they might find a way to pay some level of final dividend but alas they have announced this will be scrapped completely. 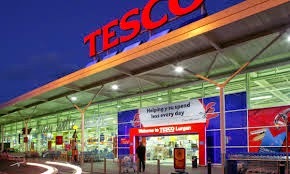 I said in my last post "Tesco is still a very large business whose fortunes can and will be restored. Once again, patience and a focus on the longer term outlook is the order of the day....". There now appears to be some light at the end of the tunnel. The update has been well received by the market and at the time of posting the share price is up 10% at 200p. Lets hope the progress can be maintained and the dividend can be reinstated before too long! I last updated on my investment trust income portfolio following my house move in August. Just to recap, in June 2012, I moved my sipp into income drawdown as I felt I could generate a better income over the long term than taking an annuity. Investment trusts now generate a large percentage of my drawdown income and also a larger percentage of the income in my stocks & shares ISA. The main objective is to generate an income which will hopefully rise each year to keep pace with inflation - a sort of index-linked annuity substitute. I thought it may be a good long term project to monitor the progress of a model portfolio comprising the majority of these investment trusts as if it had been started on 1st January 2013 so I took the closing prices for each investment trust at the end of 2012 and allocated a nominal sum of £2,000 to each. The starting portfolio consisted of 12 investment trusts (£24,000) selected from the income sector - both UK and global - and also included some of the higher yielding trusts from other sectors including global growth, far east , smaller companies and some fixed interest. I subsequently added Finsbury Growth & Income Trust and Vanguard All World High Income ETF - £2,000 each. The Vanguard ETF will act as a benchmark against which to measure the performance - income and capital returns - of the portfolio as a whole. There is much comment and debate about the merits of passive trackers versus actively managed funds and trusts so it will be interesting to see how the two compare in real life rather than some academic study. Although this is demonstration income portfolio, it largely mirrors my own holdings. 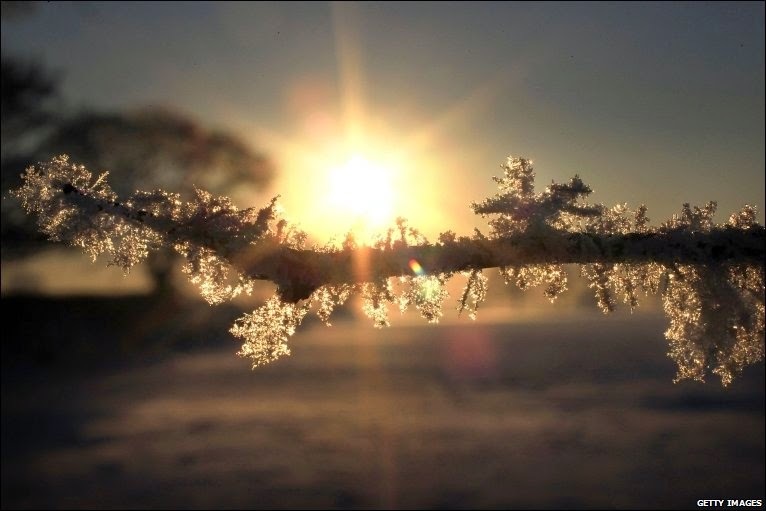 However, whilst I withdraw most of the income from my trusts for living expenses, with this demonstration portfolio I will reinvest the income at the end of each year either into an addition investment trust - as with Invesco Income Growth last year - or recycle the income generated into one of the existing holdings. So, how have the various investment trusts fared over the past year - has the income risen - how do returns compare against my Vanguard tracker? As I said earlier, my benchmark against which I will measure performance will be the Vanguard High Income tracker. The performance of this ETF over the past year has been good compared to the UK-focussed equity trusts. The total return, including income is 7.8%. I think it will have benefited from having a significant exposure to US stocks - around one third - as the S&P had another strong year. The trust portfolio has returned a respectable 5.0% over the same period. 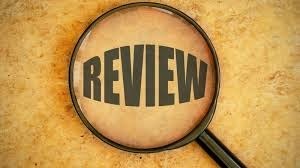 In my previous review, the actively managed investment trusts had out-performed the passive low cost tracker but now the situation has reversed. This is the first full year so it will be interesting to see how the two compare over the longer periods. I am happy with the portfolio performance for the year, particularly the predictability of income. As I absolutely depend on the income from my investments to pay the bills and put food on the table, the objective of the income portfolio is to produce a dependable and rising income. Capital appreciation is always welcome but will largely follow the ups and downs of the general stockmarket. Last years dividends of £1,140 were reinvested in the addition of Invesco Income Growth trust. The continual reinvesting of dividends is a sure-fire way to turbo charge your investment returns over the longer term. Income this year has increased to £1,222 - a rise of 7.2%, and the yield of 3.6% represents most of the portfolio return for the year. The main objective of the portfolio of generating a rising income to keep pace with inflation has been more than achieved - inflation is currently running at below 2%. The commodities sector has taken quite a tumble this past year or two so I have decided to add BlackRock Commodities Income Trust (BRCI) to the portfolio in the hope of seeing some reversion to mean. The trust is focussed on a globally diversified portfolio of mining and oil companies - Billiton, Shell, Chevron etc and is currently trading at 89p with a yield of 6.7%. The dividends received in the portfolio over the past 12 months covered the purchase of 1,355 shares (after allowing for costs) and this should contribute an additional £81 to income in 2015. Assuming growth in dividends of around 5%, my target income by the end of the year is £1,365. Whilst its always very difficult if not impossible to forecast capital returns, I am fairly confident the income figure will be there or thereabouts by the end of December. Lets see how it all pans out.